A Catholic priest, a Dominian, once walked into London’s Farm Swtreet Jesuit Church and found one of his Jesuit friends kneeling in prayer, smoking a cigarette. This post could well be included in my “form is insight”: series, with the form in question being “the reversal”. Lord, how long shall the wicked, how long shall the wicked triumph? How long shall they utter and speak hard things? and all the workers of iniquity boast themselves? They break in pieces thy people, O Lord, and afflict thine heritage. Pray for the peace of Jerusalem; may they prosper that love thee. Peace be within thy walls, and prosperity within thy palaces. O mankind, We have created you male and female, and appointed you races and tribes, that you may know one another. The Day of Judgement will not come about until Muslims fight the Jews (killing the Jews), when the Jew will hide behind stones and trees. The stones and trees will say O Muslims, O Abdulla, there is a Jew behind me, come and kill him. Only the Gharkad tree, would not do that because it is one of the trees of the Jews. 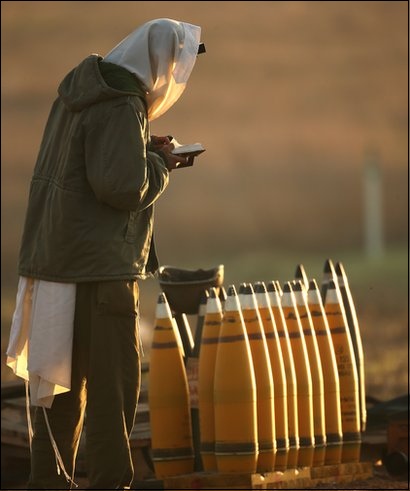 I look at that photo of the soldier boy praying beside the munitions of a brutal war, and my first instinct is to feel sadness — because the essence of prayer, surely, is shalom, peace, salaam. And then I am reminded of the Dominican and the Jesuit in that story I told you. Substituting “peace” for “prayer” and “war” for “munitions” to get at the essence here — should I be more sad that here, peace is depicted in the presence of war — or more glad that here, war is depicted in the presence of peace?